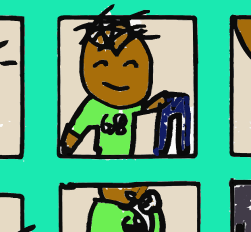 An animated comic drawn by Azaria. ​Click here to play it. I call it "Bird Friends".